Delighted to be included and top CIO UK’s list of top CIO’s to follow on Twitter – click here to see the list. In these times of digital transformation, social media is becoming more and more necessary for business leaders, especially for CIO’s who are in most cases leading the charge. I was approached by the CIO Executive Council at IDG to contribute to a blog piece about this where I answer questions about how I use social media, the benefits it gives me and some tips on how business leaders can get involved. Please click here to see the blog piece. 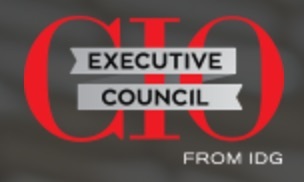 I am proud to announce that I was asked to become a CIO Thought Leader and Featured Contributor on a new IDG produced site in collaboration with HP Enterprise Services. The site is called The Business Value Exchange and you can find out more about it here. I will be contributing regularly through featured articles and Skype interviews, so please take a look and get involved.